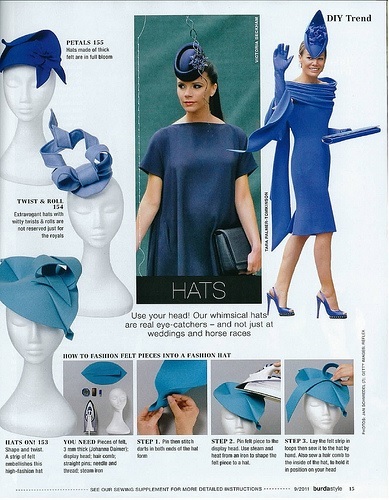 This entry was posted in 1940's and tagged 1940's, 1940's hat, 1940's tilt hat, Burda Style magazine September 2011, retro, satin, vintage, vintage hat making by kellycb. Bookmark the permalink. I love this hat! What a simple project and so easy to make unique. The back that curls up and over is very cute. I just bought fabric to make a 30s dress (someday, who knows when) and a hat like this would be a perfect accompaniment. Ideas….! You could add another thing to the hat but I also think it is perfectly suitable and interesting as is. With the veil, I think it mostly takes time to get used to the drama of wearing a veil rather than the actual wearing of it. Thank you, Quinn, for the compliments and suggestions! Yes, do try one for yourself. The DIY page suggests using felt too. I’d love to see how you make it, I’m sure it will be lovely. You do such a beautiful job on everything you make. What kind of fabric did you get and what sort of 30s dress do you have in mind? One of the main reasons I tried a hat like this was because I happened to find the right netting. I just wish I didn’t have to wear my glasses underneath (but I need to see). I’m now wondering, how often, or how much, were veiled hats actually worn in the 30’s and 40’s? What do you think? Thank you! I bought a $1/yard mystery crepe (almost certainly polyester) that is dark green with a 3/4″ or so mustard windowpane in it. I’ve got ten yards, more than enough to make a day dress from about 1933 (calf length skirt, silly big bow, and fun sleeves) and possibly also a 1940s dress or 1950s slim pants. We’ll see! It seems like a veil would only have been worn for special occasions or best outfits. I can’t imagine everyday people having them for their daily wear. Ooooh! I can’t wait to see your finished project! Thanks for the further info on hat veils. That’s beautiful! I’ve ordered the pattern to make that dress, but it didn’t occur to me to make a hat to go with it! 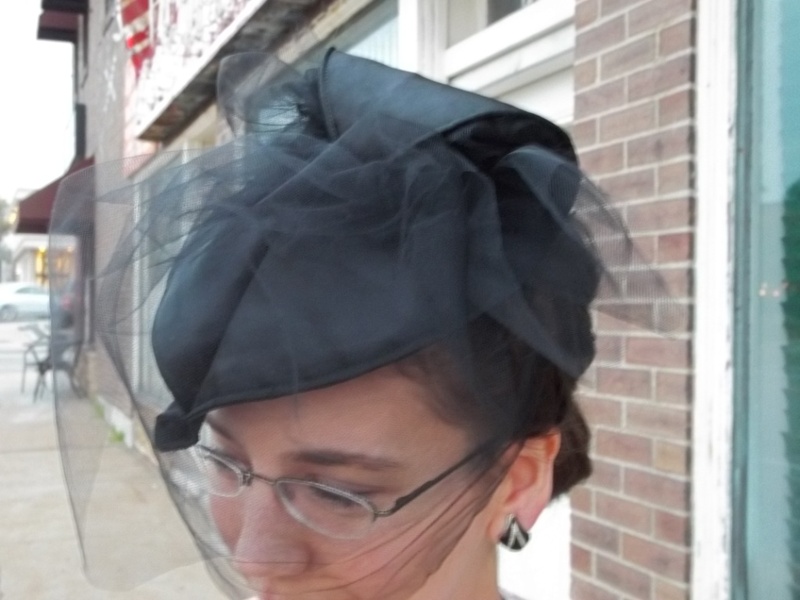 Even though I’ve been wearing vintage hats since…forever… I’ve never gotten used to veiling. The only time it seemed ‘normal’ was when I was at a convention, and everyone was dressed up. 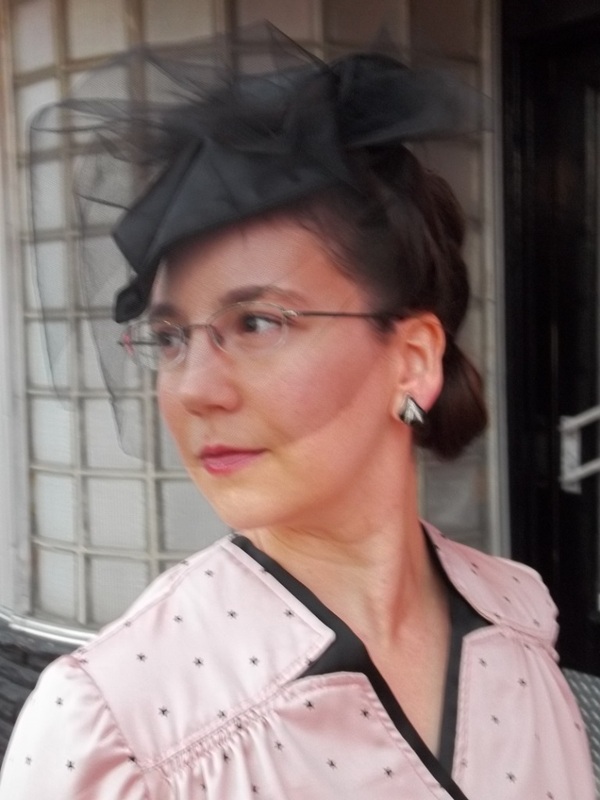 I don’t know why I can dress vintage otherwise and not feel out of place with muggles, but the veiling just pushes it over the top! O.k. so it’s not just me when it come to veiled hats! It’s funny how veiling does make me feel glamorous and self-conscious at the same time. Vintage veils never seem to survive well without denigrating, so I had to try my own when I found such a simple DIY!